Buying a BMW in South Africa? Shortwave radio is an option! SWLing Post reader, Bob, has a relative who works for BMW in the United States. 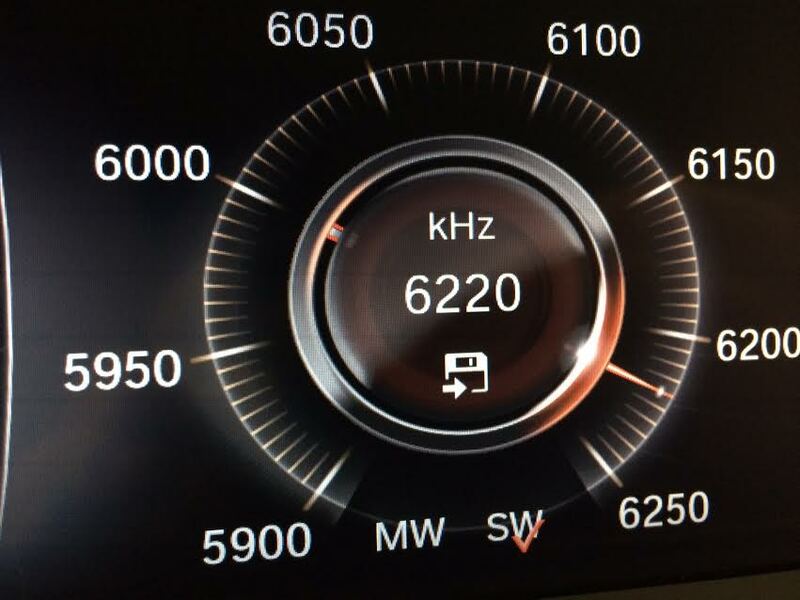 Recently, Bob learned that some models of BMWs shipped to South Africa have a shortwave radio option. He followed up with this photo of the radio display [see above]. Wow, what a fab idea! Not only would I love to have a factory-installed shortwave radio in my car, but I must admit that I love the simple design of this digital radio dial: elegant, clean, and just a tad retro and sci-fi, all at once. Now if I could simply afford the BMW…Sigh! This entry was posted in Mobile Shortwave, New Products, News, Shortwave Radio and tagged BMW, BMW shortwave radio, car radio shortwave, Car Shortwave Radios, Mobile Shortwave Radios, Shortwave Radios, South Africa on June 23, 2014 by Thomas. As far as I know all the new BMW’s here in Europe also have 49 meters. The receiver is very narrowbanded and deaf. I always thought it was included because there used to be a lot of german broadcasting stations on there. *sigh* I mean it’s great that they have SW in it at all, but I’d want something broader – coverage on 31 meter band and the 25 meter band for starters. Jim: I couldn’t agree more. If I could only have one band, it would be 31M. I’m sure there’s good reason for the 49M band coverage in South Africa, though. Is that an actual tuning knob and bandwidth scale or are we looking at a virtual display on a touchscreen? Love the floppy disk icon to indicate storing the channel. We still don’t have a good icon to replace it. Jonathan, I noted that too! Amazing that we still use that icon. Must look like hieroglyphics to a teenager in 2014.